The Converse Blog: The Converse Blog: All Star Weekend. So that was All Star weekend. Here are some of the Converse related pictures, all from Yahoo Sports. 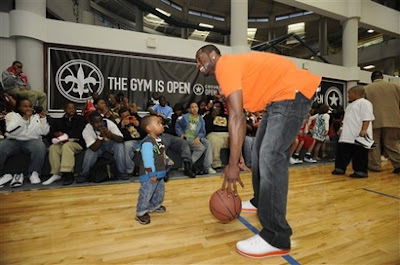 The first two shots are from the Converse Open Gym for New Orleans. 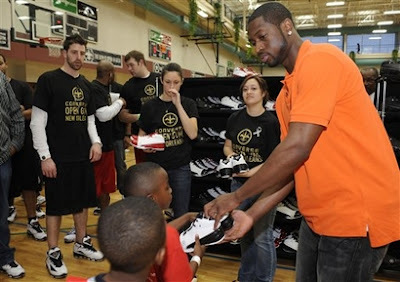 Dwyane Wade is shown passing out Team Wade 1.3's to participants. 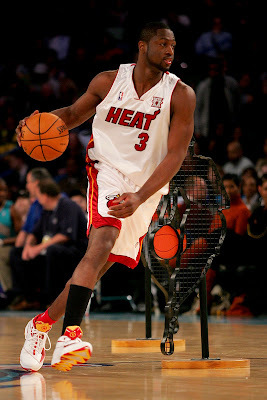 In the second pic you'll see Dwyane wearing the Converse Wade South, a casual shoe made just for Dwyane. 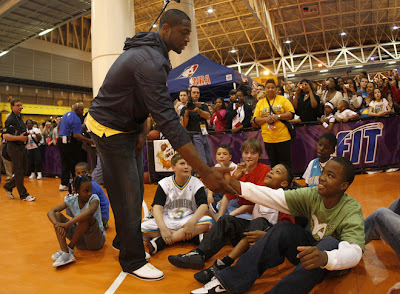 In this picture, Dwyane is participating in the Goldfish NBA Fit Zone, while wearing a white/blue/yellow colorway of the Wade South. 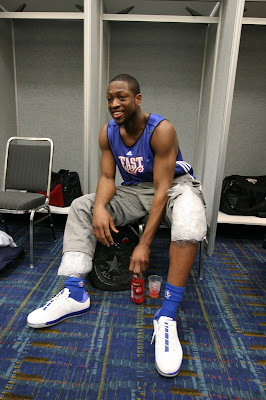 Here Dwyane is sitting in the locker room wearing Ice, real ice, and the Wade South. 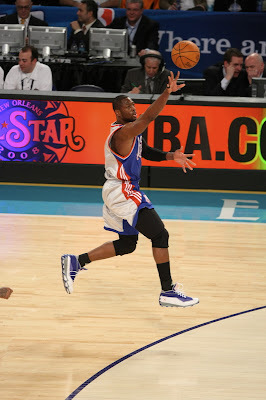 This is a shot of Dwyane during the All Star game in the Wade 3.0 in the All Star colorway. 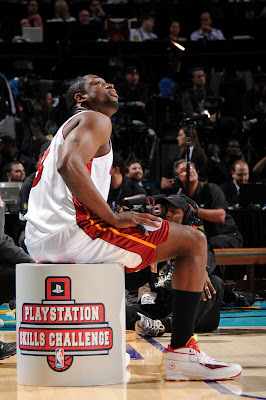 Here Dwyane Wade is wearing the China colorway of the Wade 3.0 during the skill challenge. Below, Richard Hamilton and Joe Johnson are checking out Dwyane's Finishline exclusive colorway of the Wade 3.0. 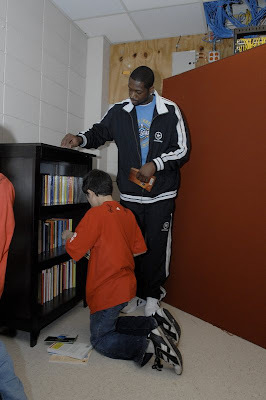 Below, Dwyane is at Laurel Elementary School during the Day of Service. 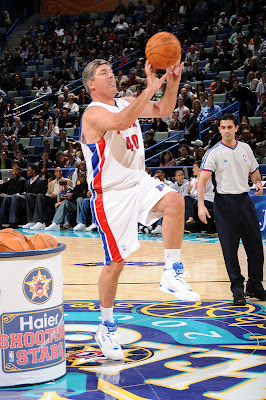 Below, Bill Laimbeer is seen wearing CONS React during the Shooting Stars event. 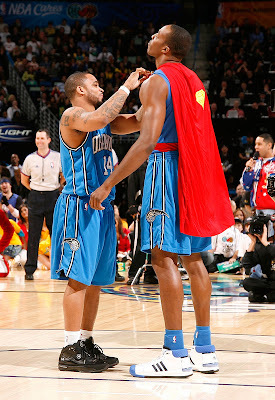 Jameer Nelson is seen below giving what might have been the best Assist for the whole weekend, wearing Converse 099. 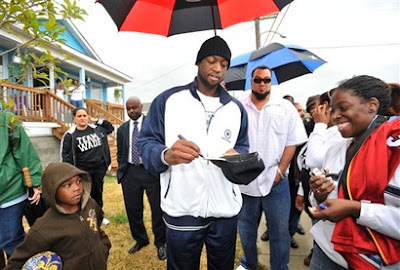 Finally, Wade is seen with his Father visiting the Ninth Ward. Those aren't all of the Converse pics from the weekend, but it covers a lot. Thanks for checking out the blog.